PHX East Valley’s nearly 1.5 million residents have a lower than average median age (35.8) versus the national average and higher educational attainment, providing an outstanding workforce for knowledge-based industries. PHX East Valley is home to global innovative brands such as Intel, Orbital ATK, Amkor, InfusionSoft, The Boeing Company, General Dynamics, GoDaddy, PayPal, Honeywell, GM Innovation Center and Microchip, making it a magnet for cutting-edge technology companies. PHX East Valley’s education, science and research programs foster a strong future talent pool and act as a business accelerator and economic generator for progressive business and digital globalization. From entry level to executive training, PHX East Valley schools including Arizona State University, A.T. Still University and several community colleges deliver market-relevant, customized education for the workforce and renewable solutions. MCC is among the top two largest community college systems in the country. These schools also provide STEM education to fill skill gap jobs. Decades of highway, utility and airport infrastructure planning make PHX East Valley a highly-valued connectivity point for commerce. Well planned highways not only connect PHX East Valley to ports in California and Mexico but also reduce work commutes for the high-tech workforce. PHX East Valley’s four airports offer a diverse portfolio of aerospace, defense, aviation and other high-tech industries, plus the operations to support those such as maintenance and repair operations, cargo and research and development activities. Local PHX East Valley public transportation and a 20 mile light rail system is an effective example of leveraging federal partnerships and local government funds. Years of sophisticated planning ensures reliable energy and water supplies are available today, tomorrow and in the future. PHX East Valley is rich in progressive arts, entertainment and leisure hospitality with a vibrant Southwest heritage, providing a bounty of activities for all demographics. Outdoor community and sporting events such as Major League Baseball Spring Training are held year-round in both urban and residential PHX East Valley communities, as well as golf tournaments, auto auctions and equestrian activities. PHX East Valley is a playground for millennials because of its pedestrian-friendly downtowns, trendy hotels, award-winning eateries, designer fashion malls, entertainment and sports arenas, outdoor recreation and state-of-the-art science and technology business presence. Agritainment in rural communities provides farm-to-fork activities and lifestyle. PHX East Valley business parks feature some of the country’s largest commercial developments, such as State Farm’s $600 million regional headquarters in Marina Heights, a 20-acre, two million square-foot mixed-use project, which will house up to 10,000 employees. Rivulon is a 250-acre mixed-use development that will include approximately three million square feet of Class “A” office, 500,000 square feet of retail space and hotels. PHX East Valley communities offer diverse housing lifestyles that meet the individual demands for C-level executives, families, millennials, retirees and students through master-planned communities, urban skylines and amenity-rich driven multi-housing. The region is also one of the fastest growing residential communities for families with rich master-planned public infrastructure such as parks, pools and A+ public schools. It is safe and affordable for first-time home buyers and very inclusive. PHX East Valley is a premier U.S. medical research and training cluster with world-class healthcare leaders such as Banner MD Anderson Cancer Center, Celebration Stem Cell Centre and Dignity Health. PHX East Valley’s Southwestern historic roots, iconic state parks and warm climate make it an international year-round destination for travelers and retirees. Named "One of America’s Friendliest Cities" by Forbes magazine, Queen Creek offers the perfect environment to start and grow a business.Boasting a rich heritage based on small-town values and country friendliness, Queen Creek has grown from rural roots to a thriving community. Today, Queen Creek is experiencing strong residential growth and continued investment in the Town Center and the Town’s employment corridors and growth areas. According to an ESRI Business Analyst, there is currently more than $19 million of unmet retail demand in a range of sectors, making Queen Creek especially attractive for a variety of businesses. Young, hip and smart, Tempe is one of the nation’s 10 Most Youthful Populations, one of Arizona’s most educated cities and one of the best places to have a good time. Arizona State University and more than a dozen other colleges create an atmosphere of youthful exuberance, forward-thinking and smart fun. Boasting a population of nearly 500,000, Mesa is the 38th largest city in the United States and the largest in the PHX East Valley. Larger than Miami, Minneapolis, Atlanta and St. Louis, Mesa covers 133 square miles inside the Phoenix-Mesa metro area with a total population of 4.3 million, projected to reach six million by 2030. Smart companies such as Apple, Boeing, Mitsubishi, FUJIFILM, CMC Steel, Esurance, MD Helicopters, NAMMO Talley, Cessna, TRW, Embraer, Auer Precision and Bridgestone have large operations in Mesa. Home to some of the most remarkable names in manufacturing, technology and business services, Chandler is the innovation and technology hub of the Southwest. This All-America city was recently named the #1 city in Arizona for millennial job seekers offering distinct employment corridors, superior infrastructure and innovative leadership. Located in the southeast valley of the Phoenix metropolitan area, Gilbert Arizona has a high quality of community life fueled by a strong economy. Thriving in business and leisure activities, the community has been named a Best Place to Live in the U.S., one of America’s Top 20 Thriving Cities, a Top Place in the Nation to Live and Learn, a Best Places for Job Seekers in Arizona, the #1 City in the Nation for Working Parents, 17th in the Nation for First-Time Home Buyers and the 2nd Safest City in the U.S.
Nestled among the Superstition Mountains, Apache Junction is strategically positioned as the eastern gateway into the Phoenix metroplex with 15+ eastern Arizona towns making US-60 their primary route into the Valley. Apache Junction also serves as the western gateway to the majority of Tonto National Forest’s aquatic recreation venues and is ideal for advanced manufacturing, distribution, mining support and business service operations. "Convenient to three major freeways"
Banner Gateway is an acute care, full service community hospital. Our Gilbert, AZ campus is home to the Banner MD Anderson Cancer Center which provides an unprecedented level of cancer care to Arizona through world-renowned resources. Our region is becoming a destination for cancer care and complex cases and as CEO, I meet regularly with other PHX East Valley Banner executives to discuss the needs of the communities we serve and strategize how we can offer the highest quality patient care and experience at a low cost. Our team here in the PHX East Valley is leading the way to the future of quality Healthcare that is affordable. Excellent, caring, and affordable health care are at the heart of Dignity Health. The health system of 40 hospitals and care centers in communities across Arizona, California, and Nevada has made it a goal to create environments that meet each patient’s physical, mental and spiritual needs. Dignity Health has hospitals in both Chandler and Gilbert, and serves the entire region with compassion, respect and human kindness. We love the PHX East Valley and wouldn’t want to put down roots anywhere else but Queen Creek since the farm was established here back in 1941.I have had opportunities to take the farm elsewhere but have never pursued the opportunity because the convenience and quality of life here is incomparable to any other place. The PHX East Valley has a lot to offer including restaurants, shops, recreational activities, performing arts, etc. To me, it’s a great area to live, work and play. The transformation and maturation of the PHX East Valley for me is both personally and professionally, exciting. The people that reside in this region are extraordinary and I am honored to be a small part of the on-going development in places like downtown Chandler and Mesa. We are building great places for families and visitors here in the PHX East Valley. When we were deciding on a site for our new facility we had many great choices, including out of state. 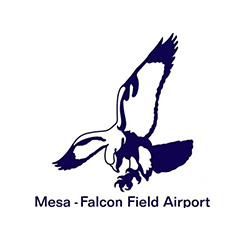 The City of Mesa worked hard to come up with a win-win scenario that made Phoenix-Mesa Gateway Airport the best value alternative for Able Engineering. All the way through the process we felt like the City of Mesa was a true partner and we look forward to many successful years working in and with the City of Mesa. In 2014, Tanga.com was named to the Inc. 5000 list, honored as one of the fastest-growing private companies in America. The secret to our success is balancing work life and family life. Here in the PHX East Valley, our business-friendly environment is positioned to do so. Businesses thrive because of the world-class talent produced from the numerous education institutions and amenities. And being family-oriented, with so many activities to enjoy daily makes for a great balance. The PHX East Valley is a win/win when it comes to living, working and playing. The PHX East Valley is an outdoor paradise and Apache Junction is located in the heart of it all. From hiking, biking, golfing, motor boating, a ride on the motorcycle, off-roading on the ATV, to a little saddle time on horseback, there is an abundance of outdoor activities suitable for everyone. Positioned well along Hwy 60, The City of Apache Junction also continues to place priority on business friendliness a companies look to expand and or relocate. We have both public and private charter schools as well as an expanding community college located in our downtown area to assure a qualified and educated workforce is readily available. Apache Junction is a city with endless potential. The PHX East Valley is home to The Arizona State University (ASU) Biodesign Institute which addresses today’s critical global challenges in healthcare, sustainability and security by developing solutions inspired from natural systems and translating those solutions into commercially viable products and clinical practices. This is a place where outstanding research programs can continue to evolve by utilizing the wealth of talented researchers found throughout the region. The criteria necessary for the successful operation of my business requires a blend of talent, skill set and experience. The PHX East Valley offers a wide variety of talent and skill sets that have allowed me to select from a large cache of qualified skilled candidates that keep my business thriving. This region is very “business friendly” and each of the PHX East Valley communities have demonstrated a willingness to work with potential business leaders or owners considering relocating or starting a business.